The room was very clean upon arrival and mousekeeping did an outstanding job every day of our stay keeping it that way. The family suite was very spacous. The queen bed was extremely comfortable, the pullout couch and armchair were not bad. Overall I am extremely satisfied with my accommodation! Highy recommended...staff were very professional. The resort is very beautiful and clean. Just the resort alone it seems you're already inside the Disney theme park. We will be back for sure. 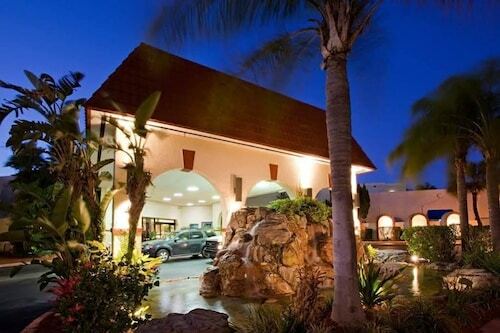 Excellent property, clean rooms and staff that are ready and willing to make your stay enjoyable. One thing, if you’re disabled and unable to climb stairs, there is no elevator. They were quite accommodating for a first floor room. If you adore sparkling lights and large crowds, you'll be in your element at ESPN Wide World of Sports! 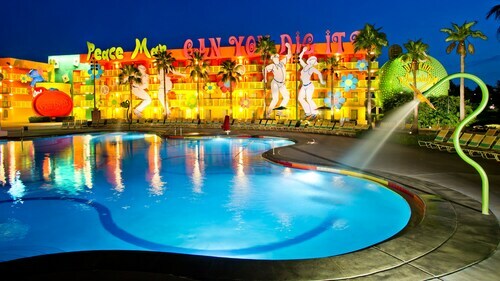 It's just one of several attractions that makes the city of Orlando so renowned. Occasionally, it's nice to have less decisions to make, but when you're looking for a place to sleep you want an array of possibilities. 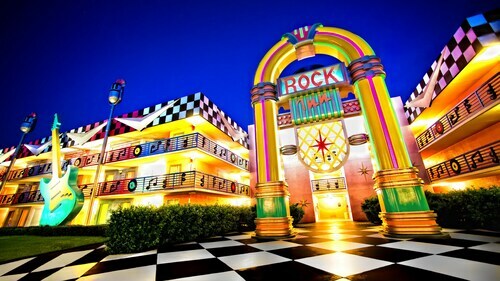 You'll be happy to know that there are about 24 hotels and other accommodations within 2 miles (3 kilometers). 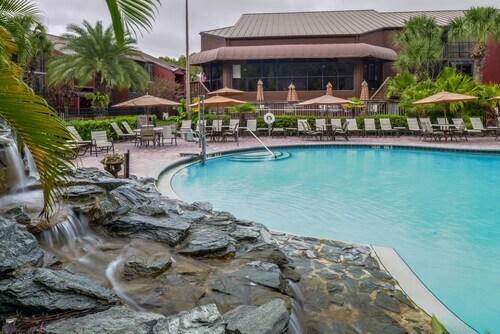 Take a look at the Disney's BoardWalk Villas and the Disney's BoardWalk Inn, comfortably situated just 2 miles (3 kilometers) and 2 miles (3 kilometers) away, respectively. 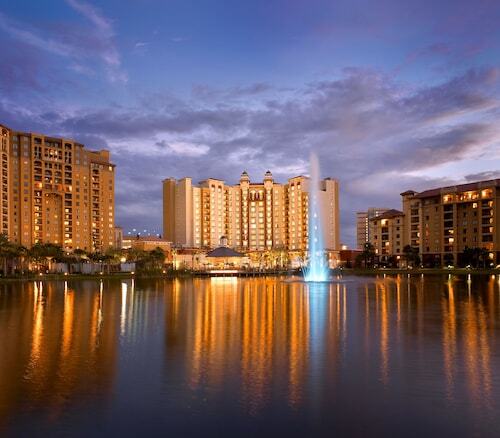 Another choice, the Waldorf Astoria Orlando, is 2 miles (3 kilometers) away. You don't have to go far to discover an inexpensive place to throw your bag down. There are a small number of solutions within easy commuting distance. 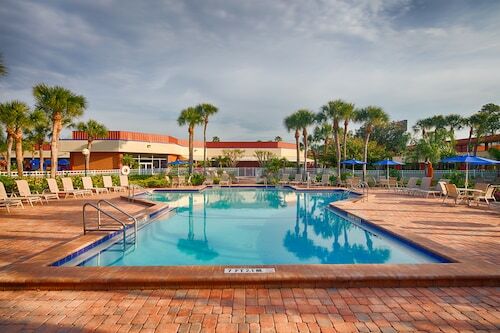 You will find the Lucaya Village by CND Holiday Homes and the Golden Link Resort Motel a reasonable drive away. You won't be able to take your riches with you after you're gone. Use them while you still can and stay at one of the few upmarket options that are in the surrounding area. 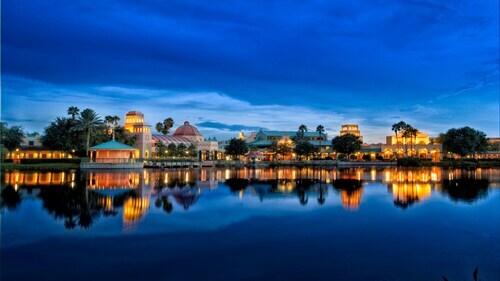 The Disney's Animal Kingdom Villas - Kidani Village and Disney's Beach Club Villas are ideal choices that you should consider. After a morning spent at ESPN Wide World of Sports, tantalize your senses at ESPN Wide World of Sports Grill (700 South Victory Way, Kissimmee). It's within walking distance, at 0.1 miles (0.2 kilometers) away. Whether you're an experienced golfer or a newcomer, don't miss the chance to hit a couple of rounds at Celebration Golf Club. 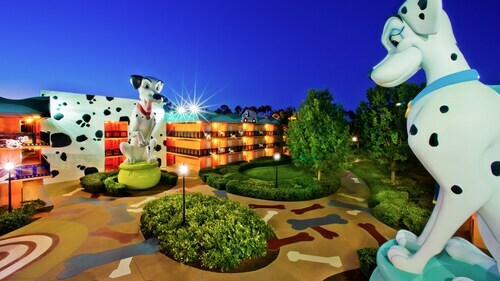 The kids are sure to be excited when you spend the day at the local theme park, Disney's Hollywood Studios®! No matter how long it's been since you were a kid, you can still have an enjoyable time at Disney's Winter Summerland Miniature Golf Course. 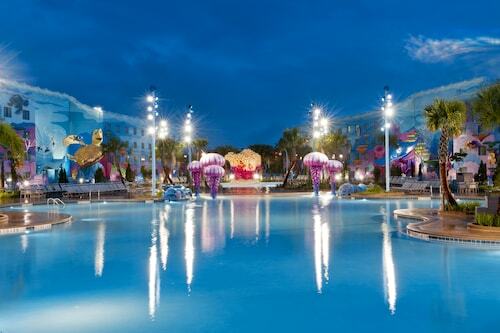 For some fun and laughter on a summers day, head to Disney's Blizzard Beach Water Park. If your schedule permits, try to prearrange a tour around the Stetson University Celebration to really see the enthusiasm within this institution. 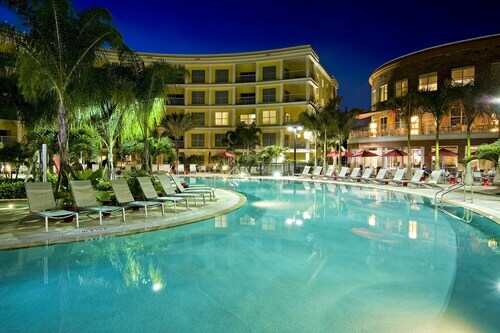 How Much is a Hotel Room in ESPN Wide World of Sports? 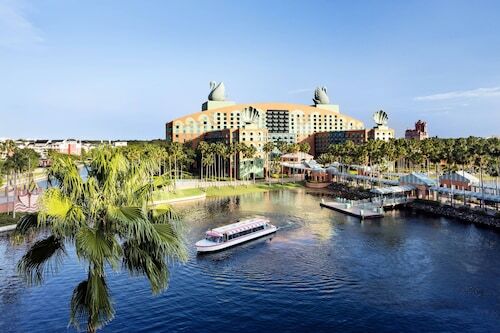 Hotels in ESPN Wide World of Sports start at $53 per night. Prices and availability subject to change. Additional terms may apply. Beautiful Villa Next to Disney!